Celebrate the bond of love, togetherness and protection by sending your closest ones this Auspicious Excelent Rakhi Thread with Blessings on Raksha Bandhan, that is embellished in the presence of a free Rakhi, Roli Tilak and Chawal. 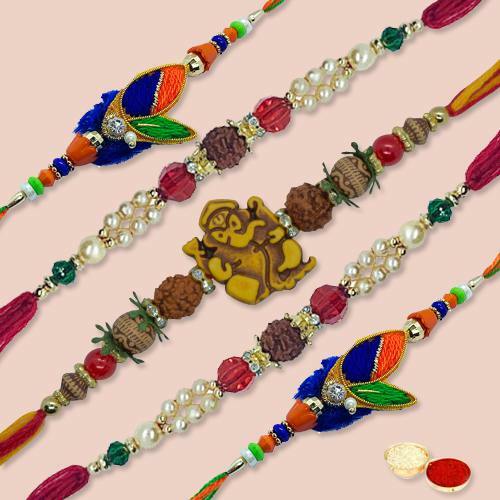 This is Nicely Gift Wrapped Excellent 5 Pcs Rakhi Thread Set for your brother with free Roli Tilak and Chawal. The Design may change in a little.